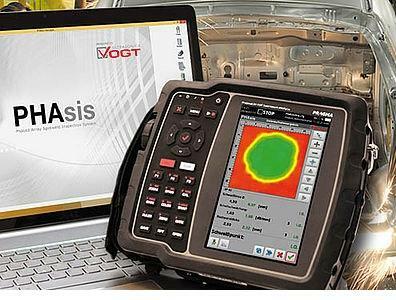 VOGT ULTRASONICS GMBH, Toodete ja materjalide testimine, Pinnavaatlusmasinad, Metallurgia - masinad ja sisseseade, EUROPAGES'sis. LEADING THE WAY SINCE 1983 – YOUR QUALITY ASSURANCE IS OUR SPECIALITY! Offering groundbreaking ultrasonic testing technologies and processes as well as a comprehensive range of services, we are your ideal partner for non-destructive quality assurance. Besides developing and producing high-performance ultrasonic testing equipment and systems, we are also sales partner to well-established manufacturers and a reliable technical partner to some notable companies. Whether you require a standalone solution or one that integrates into individual ultrasonic testing systems, we can tailor your testing equipment to your specific requirements and situation. 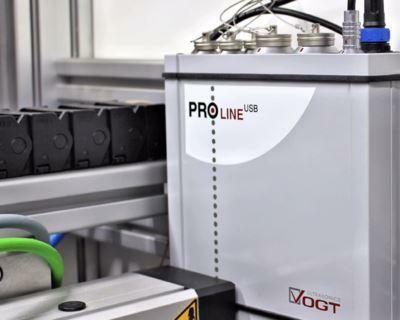 In the shape of our very own PROline ultrasonic testing systems, we present a wide range of options to suit our clients' specific testing processes. 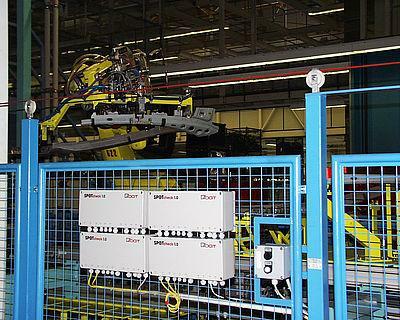 These robust ultrasonic systems test components in a cost-effective manner across a variety of sectors, including aerospace, automotive and metalworking industries. We conduct conventional tests either on your premises or from our test centre.